I attended a Fluent Interface webinar by the inimitable Scott Lilly (see http://scottlilly.com/FIWebinar). Below is my exercise file and some thoughts around what I think are the benefits of a fluent interface. A fluent interface gives you more control over the way your methods are called. Scott explains it as a three step process, first instantiate, then chain your methods, and finally execute (ICE). And I will present an example of a report in the classic sense, and one built in the fluent way. Automapper is an object to object mapper which helps to eliminate yak shaving. 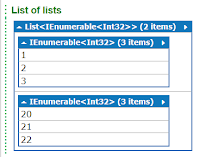 It can save you from the tedious task of creating custom code to convert data-store object models to your view model. I put together a demo because I believe it when I see it in action. This is a working sample of an XML type provider. It's a simple scrip. Though Linqpad does crash when dealing with it. Saves a lot of time when writing a quick script to parse an xml document. 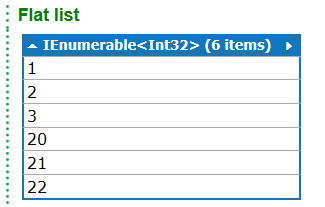 This method will give you a sitecore item id back if you give it a fully qualified path as input. 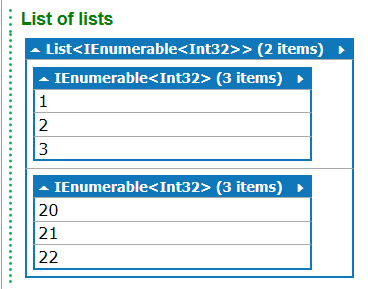 Given that you have a list of lists, how do you flatten it? how do you flatten it?